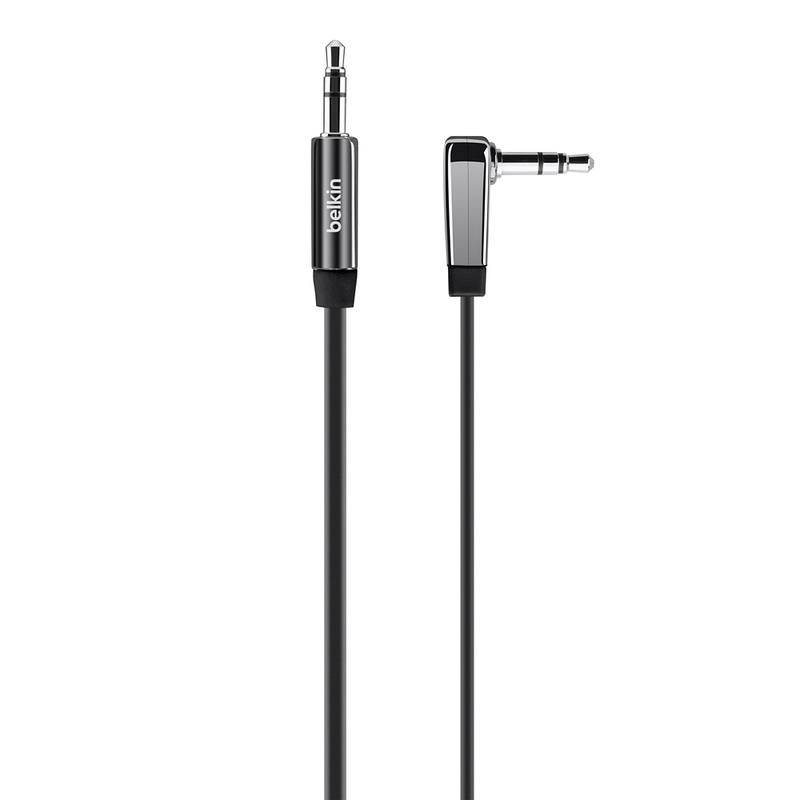 Belkin MIXIT↑™ Aux Cable. Learn and buy. Enjoy your favorite music from a wide array of devices on your car stereo, home stereo, or portable speakers with this Flat Auxiliary Cable. 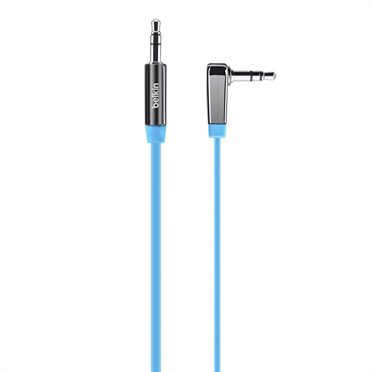 The cable lets you connect any device with a 3.5mm aux jack. Compatible devices include iPhones, iPods, iPads, smartphones, media players, tablets, MacBooks, and ultrabooks. A right-angle plug on one end of the cable is designed for flush insertion into handheld media device inputs, reducing the chances of accidental removal. 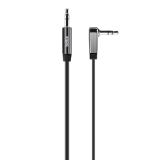 The cable's chrome-finish plugs and nickel-plated contacts ensure high-quality sound transmission.